A grueling 10-hour ride brought us to Austin today. I plan on sleeping in tomorrow morning, maybe even to 6:30. There's a reason this is called hill country. It's because of the hills. A-1, top-shelf ride to Goldthwaite this morning. Haven't seen a live armadillo yet, but I did spot a fox running off into the brush. 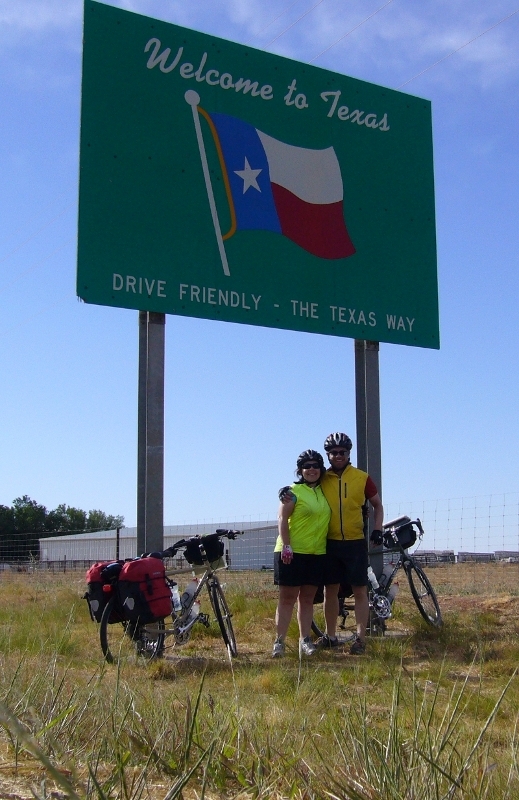 This is how we felt after yesterday's ride from Abilene to Coleman. Today we're in Brownwood, letting the legs recover. The ride to from Sweetwater to Abilene was one of the best of the trip. Today was supposed to be a short day of only 40 miles. Multiple flats made it seem more like 80. We're diverting to Abeline tomorrow to visit a bike shop. Also, Texas is very hot. Also, the Sweetwater Kmart does not sell tubes with presta valves. Just FYI. Two days of glorious tailwinds. * Rest day in Vaughn, which is a town that deserves more attention. * Found an abandoned newborn lamb, which was sad, because there was nothing we could do for it. * Spent the night in a park in Encino. No bathrooms or water, but we managed. Because we're tough! * Lots of nice people. * Applied lots of sunscreen.